There’s been a major shift in the way we buy groceries over the past 10 years. As shoppers spend more time circling the perimeter of grocery stores, where fresh produce, organic and whole food options are generally located, they’re increasingly avoiding products from the center store shelves. In fact, IRI reportedthat sales from the perimeter of grocery stores have increased by 3.8 percent in the past four years, with sales of broccoli, citrus fruits and leafy greens increasing by almost 10 percent. 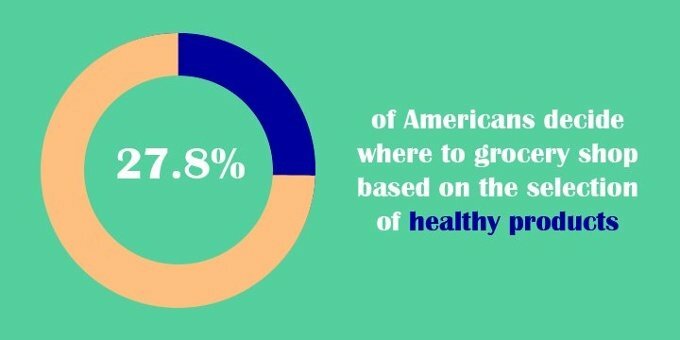 And if shoppers aren’t happy with a grocery store’s healthy options, they might stop shopping there altogether. According to a Statista poll, 27.8 percent of Americans consider the selection of natural and organic products an important factor when deciding where to do their grocery shopping. As this health kick grows, grocery stores will have to adapt their workforce management and organizational structures to meet their customers’ needs, or will start to feel the loss. Online shopping has exploded in the appliance, toy & game and consumer electronic industries - and food and beverage manufacturers are finally showing up to the party. WIth big-name companies like Amazon offering at-home food delivery options, smaller grocery stores will have to start considering the benefits of e-commerce if they want to stay competitive. 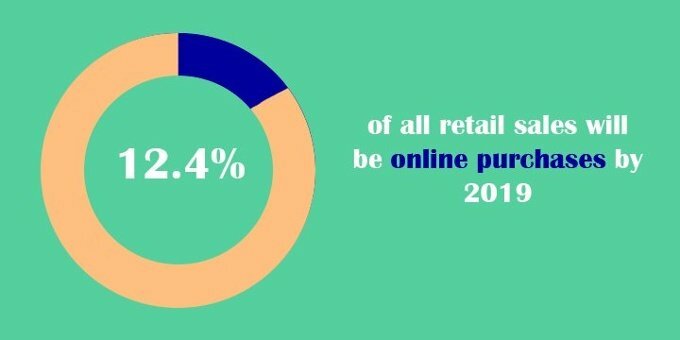 The market research firm eMarketer projects that by 2019, online purchases will reach over $3.5 trillion, or over 12.4 percent of all retail sales. Now is the time for the grocery industry to follow Amazon’s lead and capitalize on the e-commerce craze. According to a Gallup poll, only 25 percent of millennials are fully engaged customers, compared to 28 percent of Gen Xers, 33 percent of baby boomers and 38 percent of traditionalists. As more millennials leave the nest and start to do their own grocery shopping, grocery stores will have to find a way to market to this younger generation. 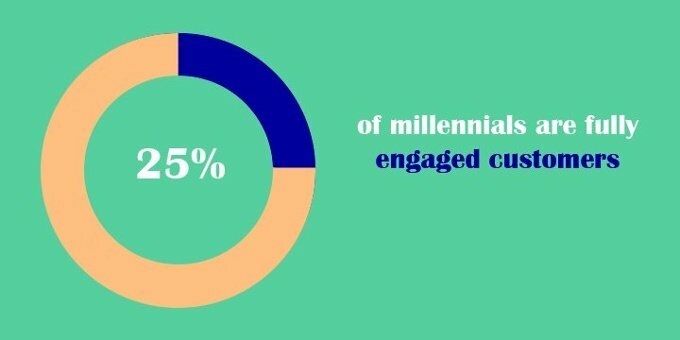 - and millennial engagement is highly dependent on technology and convenience. 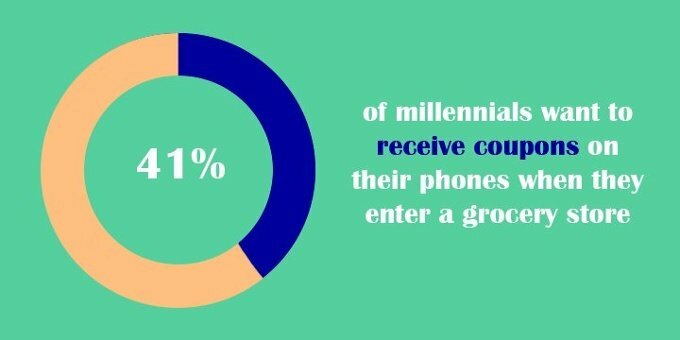 Supermarket News reported that 41 percent of millennials would like coupons sent to their smartphones when they enter a store and 18 percent want more self-serve checkout. An even bigger group of spenders is post-millennials, or Generation Z - people born between 1992 - 1999. A whopping 20 percent of this group do most of their grocery shopping in convenience stores, which is more than double the number of people over 26. And although this younger generation cares more about saving money than older ones, they care even more about saving time. More than half of post-millennials say they will spend more on easy-to-cook products, versus only 42 percent of people over 26. These insights will become increasingly important as younger generations take over as the industry’s biggest spending powers. As grocery stores start to market for the younger generations, we’re going to start to see a rise in in-store and grocery-related apps. In April, one shopping rewards app, called Shopkick, launched a new feature that offers gift cards to users that engage with specific content by trying recipes, watching videos and scanning barcodes. Other food apps, like My Food Detective, help shoppers navigate confusing ingredients and nutrition labels to shop around their food allergies. Grocery stores that can capitalize on this shift toward app shopping will be able to not only increase customer engagement, but also customer satisfaction. According to Forbes, communication is one of the top 10 biggest organizational challenges that a company faces. As grocery stores start to make changes to their businesses, effective communication between staff and managers will become a key factor in determining whether or not those changes will be successful. This is especially true of grocery stores with hundreds or even thousands of employees. If the company’s leadership fails to communicate new changes, policies or information to employees, the planning and implementation of these updates will be for naught. In fact, the National Grocers Association listed ‘Mobile power to workers’ as one of their top 10 technology predictions for the grocery industry in 2017. Empowering employees through online communication tools could help arm employees with the information they need to improve customer service. That's why more and more industries are turning toward online scheduling and communication software to keep employees engaged and connected.